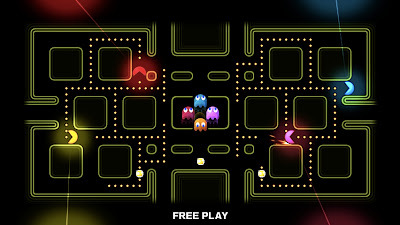 Those of you who followed my lead and answered in the affirmative should be happy to hear that the fine folks at Namco Bandai just announced--well, a few days ago--that they're prepping a digital compilation that'll be called Pac-Man Museum. Which titles will this collection include? 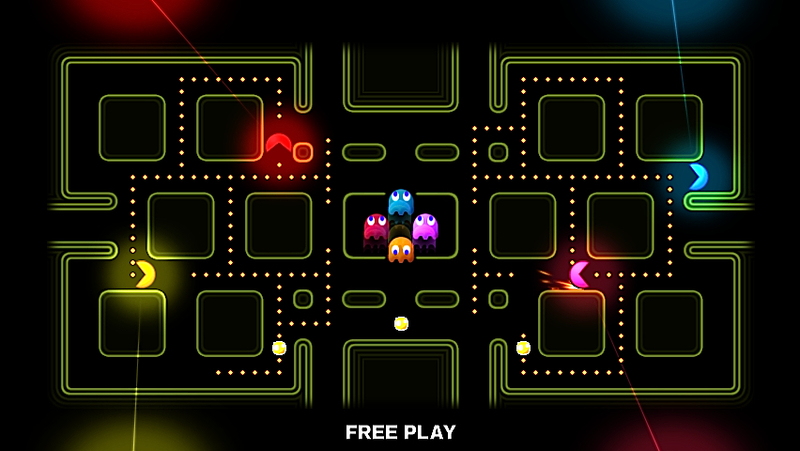 According to this press release, it'll feature "classic Pac-Man titles as well as newer arcade releases, allowing gamers to play through the evolution of Pac-Man from his humble beginnings from 1980 through 2008’s Pac-Man Championship Edition and 2010’s Pac-Man Battle Royale." Unfortunately, all of us 3DS, PC, PS3, Wii U and/or Xbox 360 owners are going to have to wait until sometime this winter to get our four-player Pac-Man Battle Royale on. In the meantime, PC, PS3 and Xbox 360 owners with copies of Pac-Man: Championship Edition DX can look forward to downloading a free update this summer that'll add a slew of new content--including "additional DLC mazes, music and graphics including classic Dig Dug and Rally-X sprites"--to this day-go digital title. That screencap looks like it comes from a crazy-good idea. I'd love to try it out! My only argument would be that I'd like to see it released physically (via retail), too, but I understand them going digital-only, too. Me, too, Justin! I've read a lot about Battle Royale, but have yet to play it. This winter! I'd buy it just for Championship Edition DX alone. I can't quite tell, though, if this collection will include both CE and CE DX or just CE, Igor. Only CE is mentioned for sure in the PR. Anyway, I actually prefer CE, to tell you the truth, and I very much look forward to playing that on my 3DS in the future--along with Battle Royale, of course. I don't see Ms. Pacman in there. Any idea why she was snubbed? Well, they haven't announced all of the games, oily chi--as far as I know. All the PR says at the moment is Pac-Man CE and Pac-Man Battle Royale, although it also suggests at least the original Pac-Man will be in there, too. Anyway, I'm definitely hoping Ms. Pac-Man also will be included, as I personally think that's the best Pac-Man game in existence!